Heat oven to 350°F. Line 13x9-inch pan with foil. In pan, break up cookie dough; press in bottom with fingers. Bake 14 to 17 minutes or until edges are golden brown. Cool completely, about 45 minutes. 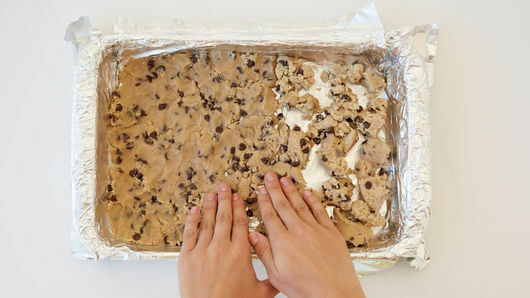 Use foil to lift cookie from pan; remove foil. 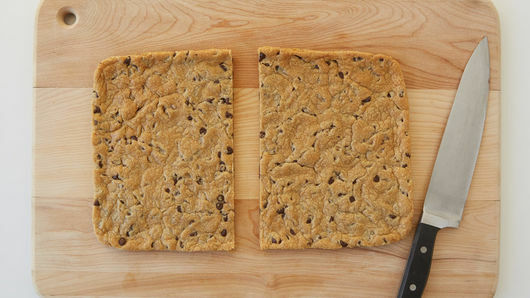 Cut cookie in half crosswise, making 2 large cookies. Place 1 large cookie, bottom side up, on work surface. 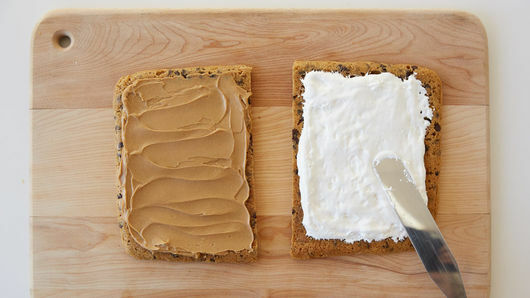 Spread cookie with peanut butter. Spread bottom surface of remaining large cookie with marshmallow creme. 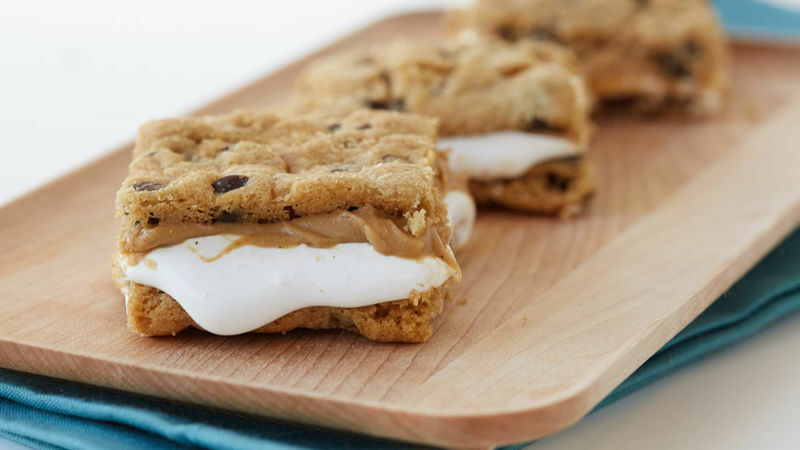 Place cookie, marshmallow creme side down, on top of peanut butter-spread cookie. Cut into 16 pieces. Wrap each in plastic wrap or foil. Store in refrigerator.